Semplice Linux is a very young project that has only recently made its debut on Distrowatch with Release Candidate 1 for their upcoming 2.0 code-named 'Emily' getting listed. This means there must be a support structure in place, a website, bug tracker, documentation and user forum. 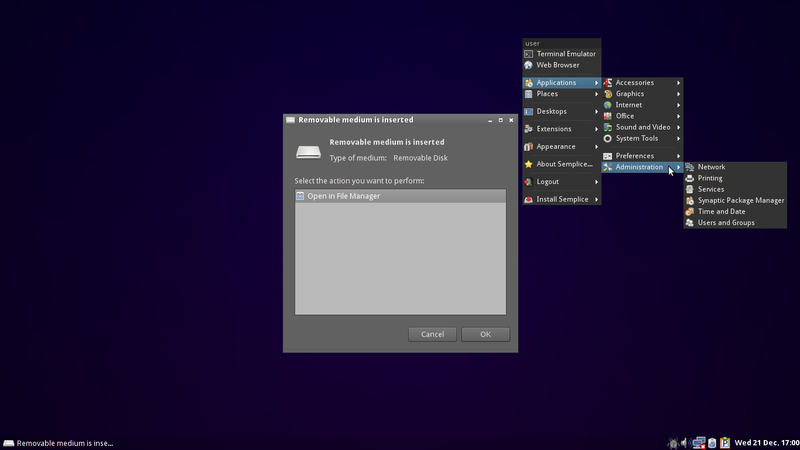 The distribution originates from Italy and is based on Debian unstable, using only the Openbox window manager, a handful of applications and a blank background. It will not surprise you then that semplice means simple. Images are available in 32-bit for i486 and also for the 64-bit x86_64 architecture. A handful of light applications are included, and with this Semplice stays true to their declared goal to provide "a simple, fast, lightweight and cool environment". I downloaded their semplice64_2.0rc_190.0 offering at 555 MB. What almost seems like a reaction to what's been going on with the bigger desktop environments in recent years we've seen the advent of more and more small distributions and spins that aim at being minimal and fast. There are, and always have been since the first graphical user interface, many smaller window managers in existence, many pre-dating the main desktop environments considerably. Openbox is one of the more modern looking ones and has plenty of nice and modern looking themes available. 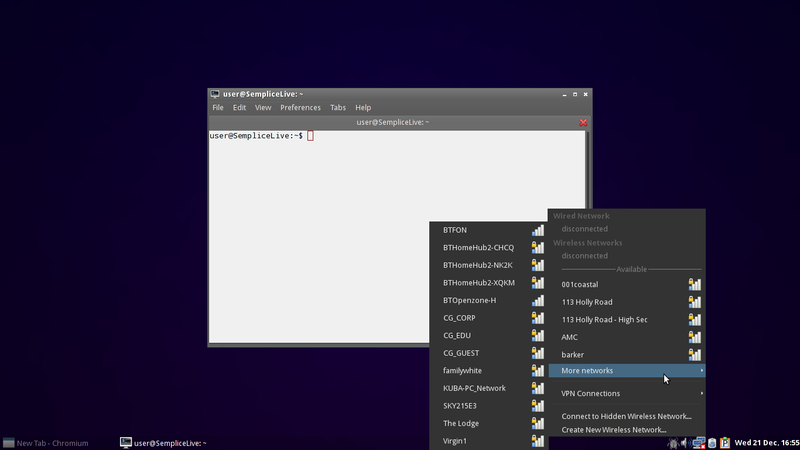 It is extremely flexible and modular and can be easily configured in text files, with sane, easy to remember keyboard shortcuts, or it can be used as a drop-in window manager for other environments. It's a good choice, and I believe those are some of the reasons why we're seeing it used so often in new distributions these days. And it is fast. Of course many of these attributes also apply to other window managers, for example IceWM, which can also be styled up nicely. No flame wars, please. Openbox is a true window manager and does not even come with a panel by default. Semplice has chosen to include the Tint2 panel at the bottom for a more traditional computing experience, again a popular choice with many current distribution spins. It reminds me of Kwort (based on Crux) and to a lesser degree CTKArch (based on ArchLinux) in style and layout. The Tint2 panel is extremely configurable by just opening a file in an editor, it has transparency, a tray, and can embed all sorts of applets. It looks modern and works well with Openbox. Semplice comes as an installable live CD. Booting up we're presented with the distribution logo on dark violet background, and the option to boot into live mode or, under other, run a hardware detection tool. After a quick wall of text scrolling by we find ourselves in graphical mode, with a box prompting for input to choose your language and keyboard layout. I made the experience that changing your language also changes the keyboard, which is what people typically want. After you clicked on Apply it's off to the games, so to speak. 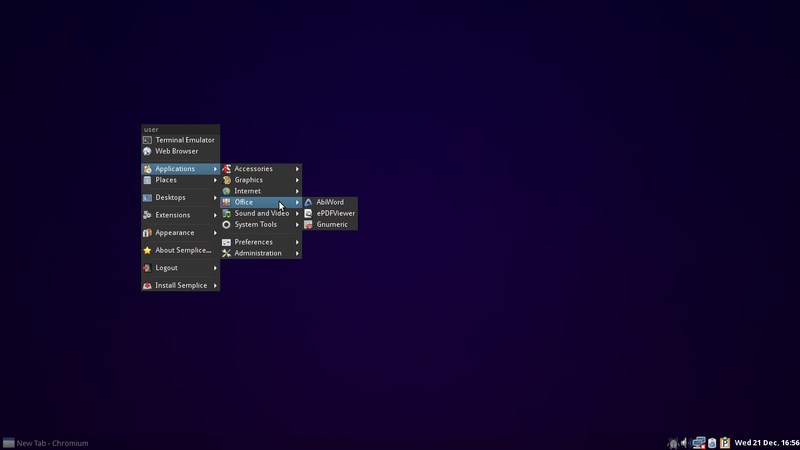 You're logging into a quite barren desktop with the same simple purple background, no logo or picture. A right click brings up the Openbox menu and the panel shows time and date in the lower right and has a couple of applets for volume, the Parcellite clipboard, Network-Manager and the Cairo Composite Manager embedded. This one actually works great and you can have desktop effects straight away and without running an expensive full-blown environment. The applet turns from grey to blue when effects are enabled, and menu and applications will show some fade in and out effects. You can also set opaqueness from 0 to 100% in the applet preferences, although that makes the menu hard to see. Nice little tool I didn't know about before, and much smaller than Compiz. The customized menu gives access to a terminal and web browser at top level which is ROX terminal and Chromium respectively. There's a lot of stuff included in the menu and application-wise, more than you would think. The Places menu has entries to go to the home directory, the desktop, trash, computer and the root file system. 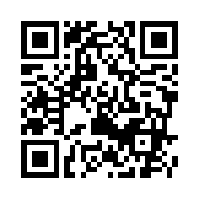 The file manager launched is PCmanFM by the way. Desktops lets you switch between workspaces and add or remove them. The Appearance entries section lets you add and manage wallpaper with Nitrogen or change other appearance preferences. This did not launch anything for me, I'm presuming that this would allow to configure Openbox themes or the LXDE tool tied to PCmanFM. You get logout options to switch users, suspend, hibernate, lock the screen ( xscreensavers package is installed) and of course reboot and shut down. Last in the menu list is an entry to launch the installer. Media codecs and Flash are already installed and I was able to watch a movie file from my hard drive. All partitions are mountable by a single click in the file manager, and this may be a cause for concern to some but is convenient in a home setup. The system auto-mounted removable media, i.e. my inserted USB stick. Bearing in mind this is a release candidate I did not experience any crashes and sessions including compositing worked, nothing out of the ordinary. And that's pretty much all there is to the Semplice desktop, unless you want a run down of the applications. Accessories: Palimpsest GNOME disk utility, PCmanFM, Galculator, Guake drop-down terminal, Mousepad editor, ROXterm, GNOME screenshot utility, Xarchiver. System Tools: Cairo Composite Manager, Language and Keyboard chooser, Xterm, a program manager to terminate running unresponsive programs from a gui. Preferences: You find Bluetooth Manager for your Bluetooth devices, the entries for monitor settings and network connections, screensaver preferences and a graphical tool to configure the panel theme. Administration: A small network settings tool to configure machine name, hosts and DNS, a tool to manage running services, RedHat's printer configuration tool for CUPS, a user manager, time and date settings and the Synaptic package manager. I first booted Semplice in VMware for a test run. Performance was very slow and unresponsive and not at all what you would expect from a light and fast distro. This just goes to show that running from inside a virtual machine is no indicator or replacement for a test on real hardware. Once booted into a live session, from CD as well as USB stick, desktop responsiveness was fast and as expected. Trying this on my Acer Aspire 5551, AMD HD 4250 shared graphics, AMD Phenom X3 2100 MHz, 4 GB Ram and Broadcom wired and wireless chip sets, I was somewhat surprised to see my local networks detected after logging in. Unlike straight up Debian Semplice ships with the necessary binary blobs and firmware. Another point in its favor if you're dreading having to hunt them down yourself after install and are looking for alternative media. To my surprise Semplice features its own rudimentary text based installer. Despite what that evokes for some people it is actually very easy. Simply answer the questions step by step. It is very intuitive and there is no way to go wrong as there aren't any choices. If the answer is wrong the installer will not let you proceed, as I found when specifying sda13 instead of /dev/sda13 as target for the root partition. It's a good idea to have the drive already partitioned and formatted beforehand with parted or Gparted as these utilities are not around but are far easier to use. The installer has an option to branch into their own text based partitioning utility when it comes to setting up the disk, but I found this part quite cumbersome. A little more explaining how users are supposed to handle each step and how to write changes, as Commit did not seem to do this, would be welcome. You start by defining a user, real name and login name, password, time zone and all the usual basics. We're given the option of skipping setting up a swap partition, then define file system format and mount points for root and other partitions. In the end we're prompted whether to proceed with the install and warned it will wipe all data from the drives. Fear not, the Semplice website is in English and has some screenshots under the discover tab. Not that there's a lot to see. Then you find a small blog which is letting me guess that the number of developers and users is probably about five, and you can subscribe to the RSS feed. The support page has links to the forum, which is also accessible directly from the community tab, launchpad and the #semplice channel on Freenode. Clicking on Wiki just brought me to Wikipedia. Under development we find links to the bug tracker, build server and a development wiki with release goals. Like I said, it's a young project only starting out and there isn't much content here yet, only a couple of hundred posts in the user forum, but it looks like fun. Simply put, Semplice is right up my street. With the Debian unstable repositories set up as default sources for the package manager you get a rolling release that is always not far behind the bleeding curve. It is a fast and minimal system for those looking for these criteria and yours to shape from here on. You might even install KDE 4 on it ;). And with a little luck and knowledge, or a willingness to find out, you'll never need to install again. Having apt/Synaptic for package management and access to over 35,000 libraries and programs is an obvious advantage. If a permanent partition should become available on one of my hard drives, Semplice Linux is definitely high on the list. After reading this review I had to download Semplice and give it a spin. Everything seem to work as advertised, and I liked that it came with the smxi script that makes updating a little easier. Thank for the great review. You're welcome guys, and thanks for the feedback! Thanks for the review. Semplice is not my cup of tea, but I might put it on that ancient HP laptop I have, just for kicks. 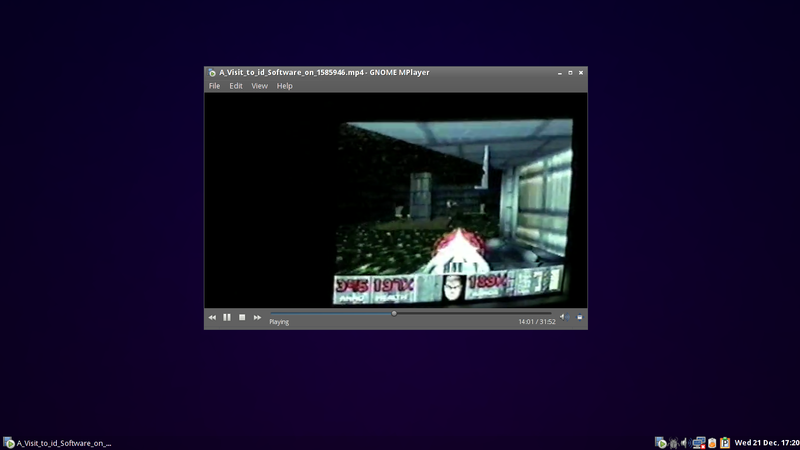 i basically test all live distros, through virtualbox, that are published via distro-watch. i find my experience with most distros to be sluggish, with the exception of semplice..
even the latest mint release lags when run from VB.. could be my VB configuration as well.. but out of the box, semplice runs as expected and without lag..
puppy linux runs fine, but can be quirky at times.. It's Quirky Puppy ;). Couldn't let that one go by. I found VMware to be much better for testing out distros and have uninstalled VB as a result. It is much easier to set screen size which is automatically detected and does not require guest extensions to go full-screen. I also found VB often corrupted my saved snapshots if used extensively and if the virtual machine was not rebooted after a couple of uses. The installer did not allow an option to have a /home partition. This is a little confusing. Also I wasn't sure what the "commit" option meant. Nice review. One great feature of this distro is the developers own program "Alen". It adds menu entries automaticaly on the fly so no need to edit config files etc. Great job. runs great on a netbook like the Acer Aspire One, Liking Open box more and more now. Great review! After finding this cute little distro on distrowatch and taking it for a little spin, i deceided i just had to have it permanent installed on my Asus eee901 little SSD. So off with Fedora 15 *which i also like btw, since i'm actually a fan of gnome shell, just a little on the top heavy side for my little eee* and in with the very fast, sweet and perfect for the netbook Semplice 2.0.0. So far it has treated me very well, just hope it stays this way while still being upgraded. great work! My opinion after using 2.0.0 for a week is as positive as the others above. I installed it on my second desktop and plan to install it on my main machine. My linux experience has been with full blown desktops so Semplice is opening my eyes to a new and better way to set up the computer for the way I want. Years ago I started computing with DOS 2.2 and learned to be comfortable with it. Semplice is superior to all of that but it reminds me of those good old days. With regards to a virtual testing platform, VirtualBox running on a Linux host proves to be much smoother than a Windows host.. Given the same resources, etc. I installed FC16 on the same laptop I run windows 7-64. 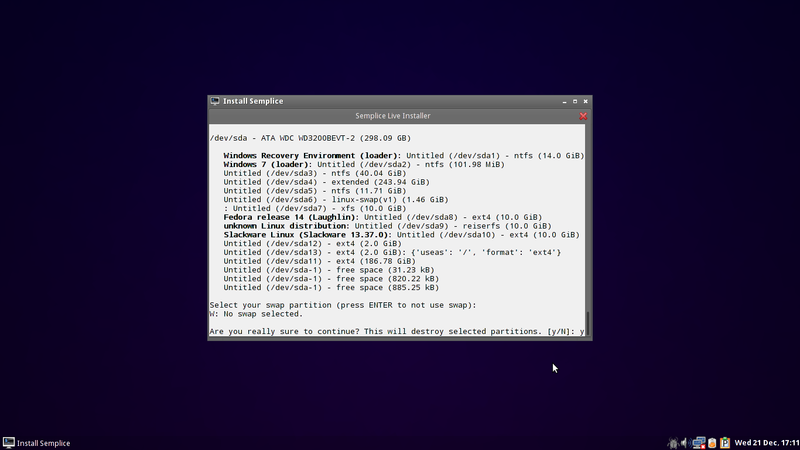 I upgraded to the latest kernel and other needed packages, then installed VirtualBox. I then added my testing VirtualMachines, by simply pointing my Linux VirtualBox instance to the configuration files within the NTFS partition. I then spun up various images, which gave me performance problems when run under Windows.. The difference is night and day.. I really dont have any need for Windows, since I dont run specialized apps.. So for the foreseeable future I will boot into my Linux install.. performance overall is much better anyway. I want to try Semplice in Virtualbox but stumbling on installation. For the folks who tried using VirtualBox, how many partitions are needed to install SEmplice and how do we create through the installer? It's best to prepare with Gparted. You only need one partition, there's an option to skip setting up swap if you think you have enough RAM. finally installed it, like a lot, i wish it came with firefox though..
Really nice with lxde installed over openbox.